Helping to launch eBay Australia's Hump Month campaign in 2017, we partnered with content producer's Plot Media (powered by the juggernaut VICE) providing access to the ThirtyOne Livestreaming studio. Using our studio production expertise to expand the campaign and produce four, four-hour live-to-Facebook informercial programmes every Wednesday night, interacting with and reaching an average audience of 1.5 million Australians, who both participated in purchasing products for sale, or simply enjoying the hijinks. Tasked with helping to facilitate a very complicated four-hour broadcast, with hundreds of graphics, and two live-sets, all whilst creating a "loose and live" vibe, the ThirtyOne Livestreaming production team worked in conjunction with Plot Media to transform the studio space into a 90's infomercial set and developed methods to optimise the delivery of content for both mobile and desktop devices. The Hump Shopping Network campaign was a breakthrough production in leveraging Facebook's new Live feature to effectively market brands and products. Described by Buzzfeed as "barely scripted, brash and brutally unhinged", the Hump Shopping Network was a classic comedy production, transformed into a live marketing juggernaut. As Australia's peak body for community broadcasters, the Community Broadcasting Association of Australia (CBAA) spends a considerable amount of time working with their member organisations to develop and maintain a healthy community broadcasting sector in Australia. Hosting a yearly conference to share knowledge and expertise with its member organisations, the CBAA consistently struggled to engage with its members who were either in remote locations, or simply unable to attend the events they were hosting. ThirtyOne Livestreaming worked with the CBAA to develop a cost-effective, single-camera livestreaming solution to distribute important events from the conference to it's 200+ member organisations around the country. Paired with a conference hashtag and an existing foundation of 3,000+ Facebook followers, ThirtyOne's webcasting solution offers incredible audience engagement at a low price. Part of the Midsumma festival, the VAC Hypothetical brings together comedians, doctors, politicians, activists and authors, and throws them into a fictional world where they tackle the big topics affecting LGBTIQ+ communities. Struggling with large audience sizes, the VAC Hypothetical team approached ThirtyOne Livestreaming to help share their event with individuals who were unable to secure a seat, and the wider community. Partnering with C31 Melbourne and Geelong, ThirtyOne Livestreaming is C31's preferred broadcast partner, allowing marginalised and non-mainstream communities a platform to share and bring focus to the events and issues that are regularly faced by these communities. Broadcast live on community television and YouTube, the Hypothetical took advantage of our multi-camera livestreaming solutions and outside broadcast capabilities, allowing us to stream live from the Deakin Edge in Federation Square. September means one thing in Melbourne - footy finals. 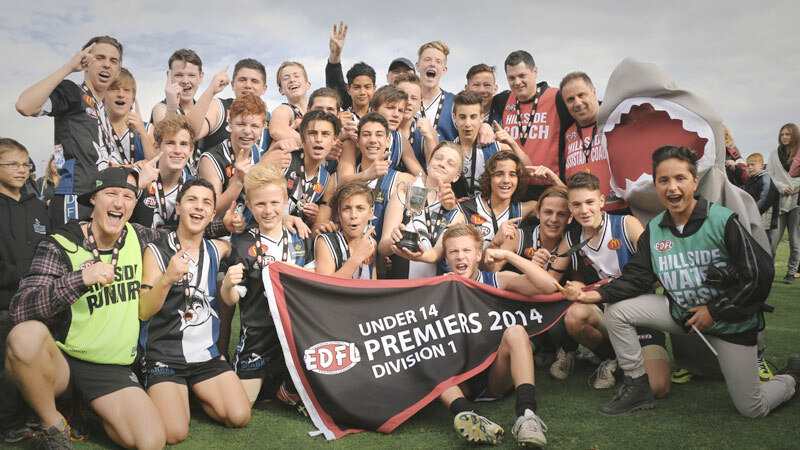 ThirtyOne Live streaming partnered with the Essendon Districts Football League to showcase their best teams vie for the Premiership Cup. ThirtyOne Live Streaming created a live broadcast package for television and online platforms so viewers right around the country could experience the action up close and personal. The EDFL delivered an increased audience for their showcase game and their League sponsors. As the peak body, Water Polo Australia’s mission is to raise awareness for the sport and celebrate its achievements using a nationwide platform. Hosting its very first Pride Cup competition proudly supported by Beyond Blue, Midsumma Festival and the Victorian Aids Council, the ThirtyOne Live Streaming team were deployed as the official live streaming partner for the event. Beamed to Pay TV, Community Television, and social networks all in real-time, our broadcast coverage entertained and captured new audiences around Australia. With production also of the Men’s and Women’s finals competition for the National League Series soon after, ThirtyOne have continued to help build the reach and grow audiences for the sport nationwide. The Melbourne Comedy festival has been making Australians laugh for 30 years. Being internationally revered as one of the top three comedy festivals in the world, the month long event features stand-up comedy, cabaret, theatre and performance art. Alongside famous headline acts, the festival is also a burgeoning playground for new and upcoming talent. As the live streaming partner of the Tradeshall Venue, ThirtyOne Live Streaming shone a spotlight on the rising talents of The Comedy Zone. Over the 4 days to this ticketed event, we created a package of episodic content for television and social platforms. We also delivered a single camera embedded live broadcast for television. Streamed live into mobile devices, the festival website, and social networks, people everywhere shared in the festival experience all in real-time and direct linked to ticket sales. Along with partnering with the Festival to provide coverage of the Trades Hall Comedy rebrand, producing our seventh annual documentary on the Comedy Zone rising stars and producing our third live-to-TV "Live From Trades Hall" special, the ThirtyOne Digital team helped shine a spotlight on the rising talents of the festival. Our team created and packaged episodic content for television and social platforms allowing people everywhere to share in the festival experience all in real-time and direct linked to ticket sales. From 2017, ThirtyOne Digital has also acted as the livestream service provider for the Melbourne International Comedy Festival's 'Six at 6', a program dedicated to showcasing the venues and artists both large and small that are performing during the festival. Live every night of the festival from a different festival venue across Melbourne, the livestream was hosted on the festival's Facebook page, and later uploaded to YouTube for archival purposes. The broadcast not only helped get the word out about festival news and events, but it helped to promote comedians big and small, increasing ticket sales, whilst also providing a product for the festival to leverage for additional sponsorship. Our team produced a live broadcast every evening for 27 days in succession for this initiative."